Celebrations seem to centre around alcohol. As the whole country gets ready to indulge in Christmas festivities, alcohol is guaranteed to flow most freely. This is bad news for those who are battling an addiction – they may find the pressure to have ‘just one drink’ too much to resist. Ramona Depares speaks to a recovering alcoholic who worries that the festivities will spell an end to his sobriety. As Christmas week kicks off and most Maltese look forward to a flurry of social gatherings, Anton Cassar*, 39, finds himself full of misgivings. A recovering alcoholic, he is only too aware that all celebrations unavoidably include alcohol and, having only started to actively face his addiction some four months ago, he acknowledges that he is not yet strong-willed enough to be able to cope with the ubiquitous presence of his biggest weakness. “Until I decided that I’d had enough of living my life through blurry goggles, Christmas used to be the best time for me. My partner has always been aware that I have problems controlling my alcohol intake, however it was very rare that I’d let things spiral out of control, so she would only nag half-heartedly. Over Christmas even the nagging would disappear as she viewed drinking at any time of the day more acceptable,” Anton says. But what he viewed as a blessing before, fills him with trepidation now that he has decided to put all his energies into fighting this addiction. Things came to a head, he says, soon after he passed an inappropriate joke at the funeral of his partner’s aunt. “I had started the day with some straight shots of whisky, interspersed with beer, until I got myself to that happy, fuzzy, stage. My excuse was that I hated funerals and needed to steady my nerves. Any excuse works, really, when you depend on alcohol to get through the day. But when the family was saying their quiet goodbyes at the cemetery, I made a rather bad faux pas,” he remembers, without going into further detail. It was the last straw for Anton’s partner who, he says, had until then “semi-tolerated” his alcoholism. An ultimatum was placed. But it was not even this that convinced him that he needed to do something about it. “A couple of days after the funeral I had just finished having a drink at a café. I tend to prefer cafes to bars, because it makes you feel less obvious that you’re drinking at an inappropriate time of day. Anyway, I went inside to pay the bill before leaving and, on the way out, noticed an empty table with a pint glass that still had some leftover beer in it. I didn’t even think twice – I just reached out and downed it. I walked away feeling disgusted with myself,” he remembers. The very next day he decided to get help and, since then, has managed to stay on track, bar two or three occasions. “Physically, now that I’m not suffering withdrawals so badly, I feel much better. I can actually see real colours again. Mentally, I can’t say the same. Every minute of the day is torture; it’s like there’s a voice in my head telling me that I will never again live that indescribable feeling as alcohol rushes through my body. I cannot bear to linger on that thought, or I know that I will fail,” he says. Knowing this, he is dreading the coming two weeks, when not lingering on that thought will be impossible thanks to society’s proclivity for centering all celebrations around alcohol. Anton anticipates the endless questions that are likely to rain on his head as soon as he refuses that first drink; the attempts at persuasion to have ‘just one’; and the required explanations. “Being around people who are continuously drinking alcohol will be bad enough. I am still too weak to just ignore it. Even just the smell makes my body tingle. But as if that were not enough, I know for sure that I will be either pressured to drink or to give detailed explanations about why I’m not. Probably both,” he says, his tone of voice getting increasingly frustrated. He insists that people’s reactions are the most likely to be his downfall, and the mere thought is giving him anxiety attacks which, ironically, increase the feeling that he needs to drink. “I know I can simply say that I’m an alcoholic and I’m not drinking, but things are never that simple with friends and family, are they? My alcoholism has been something of an open secret, it is the one thing they felt they didn’t’ have ‘permission’ to talk about. If I suddenly say that I stopped drinking, this will change and everyone will want to know more. I would have preferred some more time to go by before I have to make myself even more vulnerable in front of a crowd,” he explains. He is particularly reluctant to reveal his recent decision to his family, he continues, saying that he feels they will only make matters worse with well-meaning, but persistent, advice. “At this stage I am seriously debating whether I should simply hibernate at home for two weeks, but even this will require explanations. I suppose I could just invent an illness, but I also don’t want to ruin the season for my partner. She loves anything to do with Christmas and enjoys meeting up with her sisters and their kids. I wouldn’t want to deprive her of that. And attending parties and dinners without me will probably make her feel somewhat like a third wheel, given that everyone’s coupled up,” he says. 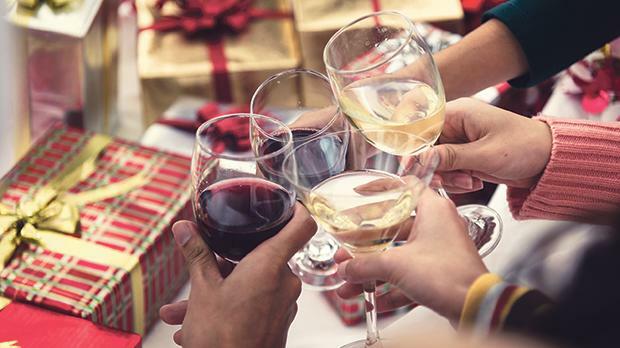 And it is not only alcoholics who need to think twice before they reach for that drink over the holidays – the Health Promotion Unit has already warned Christmas revellers this year that even a drink is one drink too much if they intend to drive afterwards. Last year, two motorists were caught driving while above the limit during road checks carried out on Christmas Eve; on New Year’s Eve only 11 out of 1,832 cars stopped were breathalysed and none were found to be above the limit. However, this figure is likely to be only the tip of the iceberg as, according to a police spokesperson, officers in Malta require a “forensic level of reasonable suspicion” before they can lawfully breathalyse drivers. Manuel Mangani, the man behind Amethyst, an NGO that helps people with alcohol problems, pulls no punches about the worrying role that alcohol plays in festivities not only in Malta but in many parts of the world, saying that Christmas is the time when people don’t simply drink, but do so “often to excess”. “Even those who are normally practically teetotal are expected to make an exception. It can certainly be a trying time for those who are trying to stay away from alcohol and who cannot drink even small amounts, especially the newly-sober,” he says. Mr Mangani explains that throughout this period, memory cues from the past and the ubiquity of alcohol and of drinking often trigger urges to drink. He adds that, through years of experience dealing with recovering alcoholics, he has seen that some actually do resort to isolating themselves and attending only those occasions where they know they will not be subjected to pressure to drink alcohol. “Others choose carefully which invitations to accept and when to feign illness or bring up some other excuse not to go. Some find it easier to state plainly they prefer to stay way from alcohol because they have given it up. Others still will ask partners or reliable others to keep a watch’ over them and be ready to leave with them should the urge manifest itself,” he says. The threat of succumbing to temptation throughout the Christmas period is real enough that, Mr Mangani says, a few even opt to take aversive medication – prescribed by a doctor – which would produce highly negative effects if mixed with alcohol and would thus strengthen one’s resolve not to succumb. Asked about possible coping strategies for recovering alcoholics, Mr Mangani says that the most effective strategy of all is possibly to attend meetings assiduously at this time of the year. “Amethyst will be holding meetings on Christmas Eve and New Years’ Eve, while Alcoholics Anonymous actually holds meetings also on Christmas Day and New Years’ Day. These meetings provide the newly-sober with invaluable support from professionals and peers,” he explains. In the meantime, he presses home the fact that, although pressing people to drink is commonplace, it can be decidedly irresponsible – and rude to boot. “People who decide not to drink should be prepared to say no and possibly state they are under strict medical orders not to consume any alcohol. Coming up with an excuse if they feel under pressure – such as that one is taking medication – is a common and believable reason. It is often an effective strategy. Telling at least one trustworthy person that you have a drinking problem and asking them to support you in such situations can be very helpful,” he says. The worry that you, yourself, or a loved one, may be an alcoholic is not an uncommon one across the Christmas period. Mr Mangani says that alcoholism is a disease characterised by a number of symptoms, with possibly the most revealing one being lack of control. “An alcoholic often drinks more than he or she sincerely intends to,” he says. Other symptoms indicative of alcoholism include withdrawals, where the hand or the whole body trembles. There can also be nausea and sweating in the morning. Another symptom to watch out for is when a person continues drinking despite all the problems – ranging from health to family conflicts, legal problems and so forth – that alcohol is causing in their lives.“Anyone who is in doubt should seek help from professionals. A simple phone call on 179 gets you straight in touch with agencies who will give sound, reliable advice,” Mr Mangani says. ▪ Always bear in mind that there may be guests who, for a variety of reasons, do not wish to drink alcohol. ▪ Make sure there are plenty of non-alcoholic beverages available. ▪ Any signal that any person does not wish to drink alcohol should be fully and immediately respected. ▪ Use the excuse that you are under medication. ▪ Tell at least one trustworthy person that you have a drinking problem and ask them to support you. ▪ Ask your partner to be ready to make a fast exit during any social event. ▪ Attend support meetings like the ones organised by Amethyst or Alcoholics Anonymous. Amethyst may be contacted directly by sending an e-mail to amethystmalta@gmail.com; Caritas may be contacted by calling on 2590 6600. The Alcoholics Anonymous helplines are 21239264/79239264.